• • Mae West wrote: When Father got a new carriage, Mother and I were the first test riders. Father made a living for us — but Mama added the color and style. • • Mae West wrote: Mother said I was a rather unusual child: "A child that has to be humored and can't be forced or ordered. She resents even an unfavorable tone of voice." • • Mae West wrote: "I know that," Papa would say. "I'll watch my tones." • • Mae West wrote: Mama was wary of my observation of all the relatives, friends, or folks who came to the house. After they left, I commented about them, criticizing or praising them, depending on how they impressed me. • • Mae West wrote: My father would say, "Well, I wish I could know as much about the people who hire my rigs." • • Portrait taken with a dog • • . . .
• • Mae West mailed her manuscript for "Diamond Lil" to the Library of Congress from the Harding Hotel, West 54th Street, New York, NY. The date of her Washington, DC copyright registration is Monday, 6 February 1928. The play opened on Broadway in April 1928. 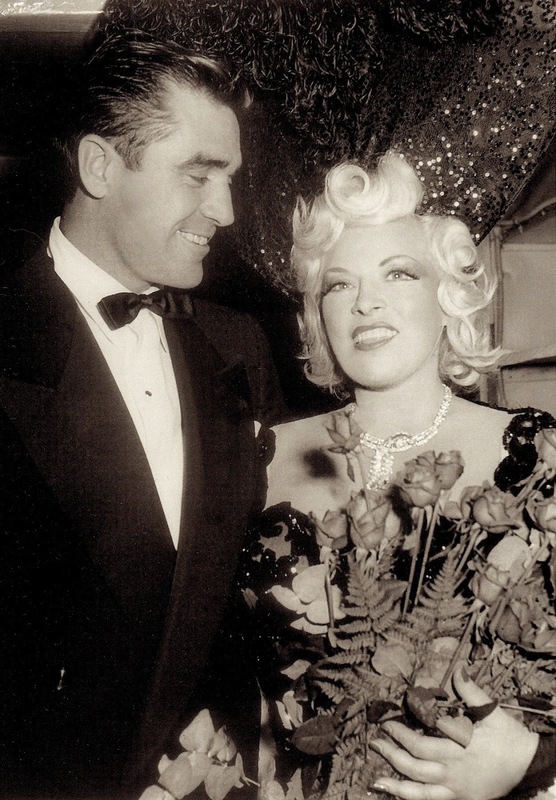 • • After performing with Mae West, Steve Cochran [1917 — 1965] signed with Warner Bros. in 1949 and returned to Hollywood. He died at 48 years old on his yacht. • • Mae West said: "Friends stay sometimes, but mostly at my beach house. It's got 22 rooms, eight bedrooms with bathrooms." • • The Film Daily mentioned Mae West. But was she ill or was she acting? At this time Mae was arguing with Paramount about making a personal appearance in New York City. Coincidence? • • The Mae West Blog was started fourteen years ago in July 2004. You are reading the 4143rd blog post. Unlike many blogs, which draw upon reprinted content from a newspaper or a magazine and/ or summaries, links, or photos, the mainstay of this blog is its fresh material focused on the life and career of Mae West, herself an American original.